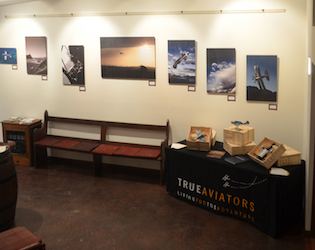 One of the focuses of True Aviators has always been to encourage participation in all disciplines of aviation. 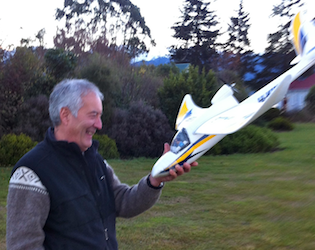 Having arrived in NZ recently to continue work with the DC 3 project, Adam has had the opportunity to pass on his love of flying model aircraft - and we thought it`d be nice to showcase a little of the fun. 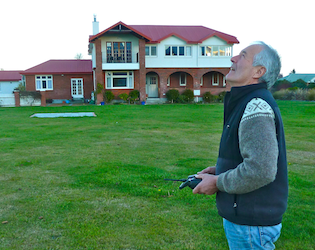 George is the Manager of Te Anau Lodge, and has had a life long dream to master the art of flying radio controlled aircraft. 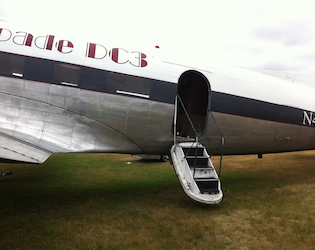 As the Lodge and the DC 3 are connected by a common ownership, Adam has spent many hours at the Lodge finalising aspects of the DC 3 progression. 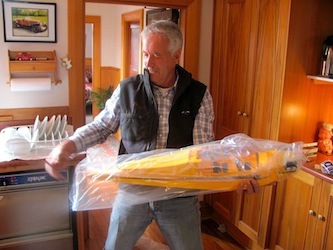 After hours George has been practicing tirelessly to understand this exciting new sport. 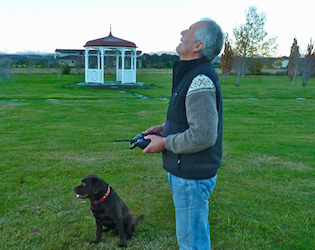 His appreciation for the support and guidance of an instructor has been encouraging, as we feel that it`s a reasonably challenging skill set to learn. It has given us reason to consider developing a program to encourage participation, and suggest that you "watch this space" to see our thoughts in the near future!! While our core business may appear to revolve around flights in the Russian Bare, we celebrate our dedication to ensure aviation benefits across the board from the experiences we`ve had. 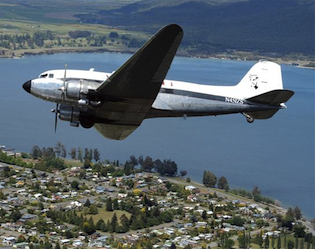 Recently we have been approached by an enthusiastic individual to assist with a DC 3 project in New Zealand, and have sent Adam over as consultant to help navigate the process of bringing an aircraft into a commercial role, with the anticipation of providing stunning flight seeing tours in the lower South Island of New Zealand. 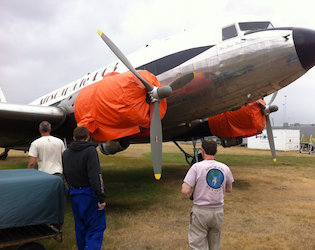 While this is a very new project, we thought you may like to see some photos of the aircraft, and the scenery you could expect to see during a flight in this classic beauty. We`ll be sure to update progress, and let you know how you can be involved in time. 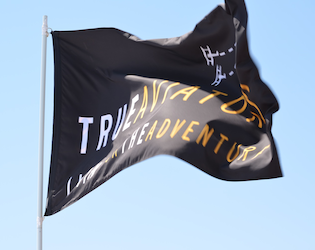 Come and join the team at True Aviators for special "Barnstormer Special" 10 minute Flights on Wednesday afternoons only for the amazing price of just $190. 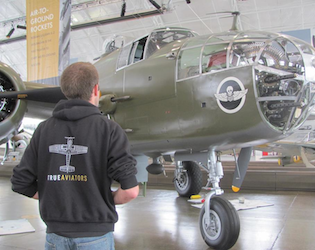 We`ve designed these days to ensure that you have a chance to experience warbird aviation without breaking the bank, and have the opportunity to come and share the awesome atmosphere that radial engines, happy people and old aircraft provide!! 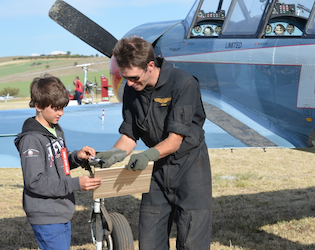 You`ll experience a loop, roll and stall turn during our 10 minute flight package if you`re keen, or you can view Adelaide gently from altitude in a classic warbird fight trainer aircraft as used by many air forces around the world. What your story going to be on Thursday morning? Give yourself and your friends a spur of the moment yahoo and call us on 0416 460 866 to book your place!! See you Wednesday night!! 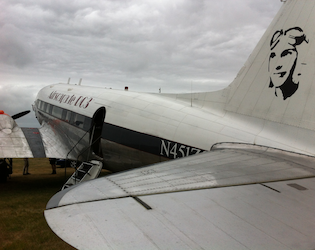 We visit the 2012 Jamestown Airshow!! 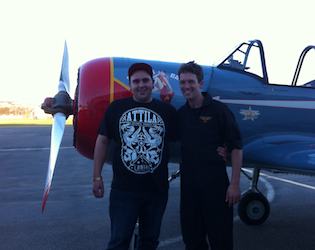 True Aviators Visit the 2012 Jamestown Airshow!! 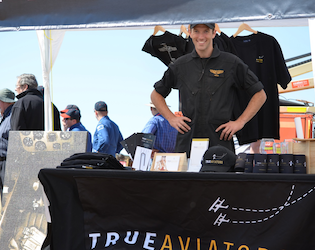 On Sunday the 14th of October the team from True Aviators visited the magnificent airshow at Jamestown - an event that only occurs every 4 years. 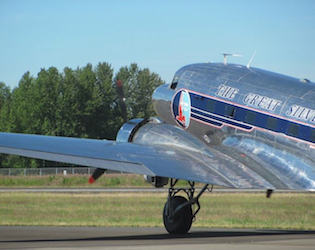 We were treated to impressive displays by many rare and unique WW2 aircraft, Vintage Biplanes, modern day utility aircraft, jets, and many ground based displays. We were really impressed with the support of all those attending, and appreciate beyond words the attention True Aviators received. Thank you kindly to all those who chose to take home our merchandise, and those who flew with us in the Russian Bare at the completion of the airshow. We`ll be back in 4 years, and urge you all to pencil this event in as a true overview of aviation as we enjoy it - and guarantee that you`ll come away inspired beyond belief!! 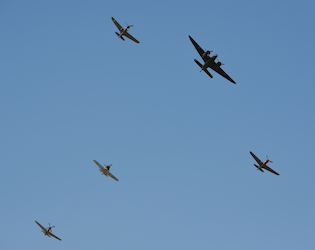 A big thank you to the organisers of the show, the sponsors, pilots and crews responsible for displaying and preparing aircraft - and to all those that came along, paid the entry fee and supported Vintage, classic and warbird aviation. Your input is invaluable, and very much appreciated. When we are not roaring through the skies in radials, we are helping people jump out of perfectly good aeroplanes down in Langhorne Creek! You've got to come check this out! 8,000, 10,000 even from 14,000 feet! It's absolutely incredible!! We are there this Saturday and Sunday. Russian Bare visits Woodside for a special outing!! 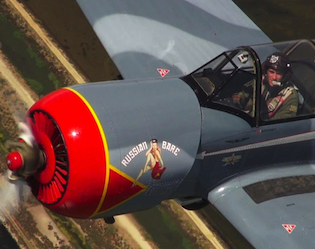 True Aviators and the Russian Bare visits the Woodside Airfield in style on the 18th of August!! 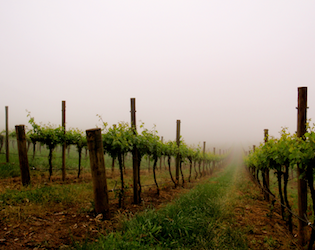 It is always our intention to provide high class experiences, and this day was no exception!! Passengers arrived at Yangoora Estate`s lovely cellar door, received a briefing, and were introduced to a magnificently restored 1954 Dodge. After climbing aboard with 3 friends the lucky passenger was driven to Woodside Airstrip in style where the Russian Bare awaited their arrival. 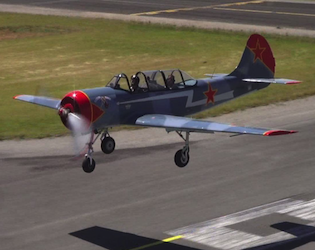 All passengers were individually treated to a 20 minutes aerobatic adventure flight over the Adelaide Hills region, which included a fly by of Yangoora where their other friends were watching. 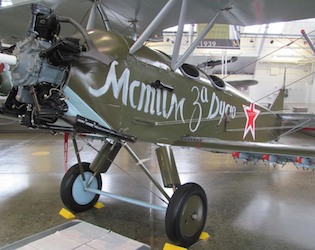 We found that 20 minutes was a good length of time to view the amazing scenery, enjoy personally tailored aerobatics and experience the wonder of flight in a classic warbird aircraft. 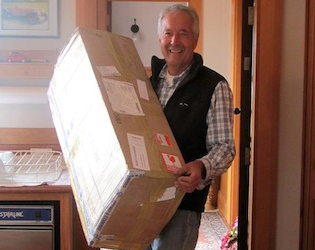 Upon return to Yangoora Estate all passengers, families and friends were served with delicious complimentary wood fired pizzas and Yangoora`s finest wines. We`re really excited to have received so much lovely feedback, and look forward to hosting similar events in the future!! Thank you to all who made this a really special day!! The True Aviators crew have been traveling the mighty USA for the last 6 weeks experiencing aviation on a spectacular level!! 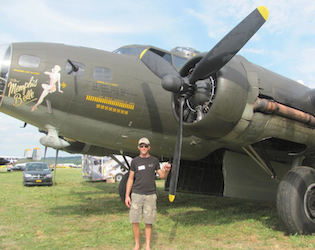 We`ve visited the Geneseo Airshow in NY, spoken with aviation enthuiasts, restorers, engineers, dreamers and owners. It`s been a great time to stand back from True Aviators for a moment, and learn from everything we`ve seen on the road!! We`ve seen a number of inititiaves and methods that we`ll be sure to incorporate into the ever growing True Aviators enterprise. 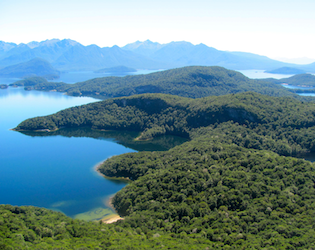 Have a look at our Face Book page for some great photos of the sights we`ve experienced abroad!! 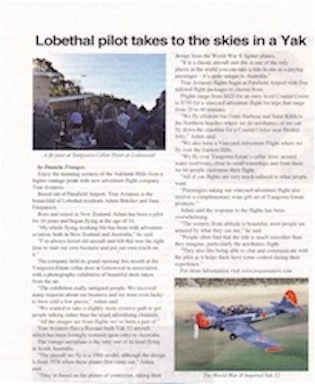 "Lobethal Pilot Takes to the Skies in a Yak"
Check out the fun article printed by the Weekender Herald of the Adelaide Hills! Just after an incredible event hosted by True Aviators in conjunction with Yangoora Estate in Lenswood, Daniela Frangos reports! 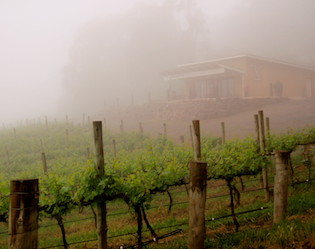 Introducing our newest project - one that has us and the team at the Yangoora Estate Cellar Door really excited!! 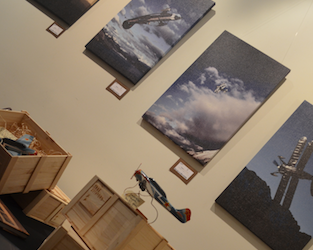 All images have been displayed on a high quality canvas, and illustrate stories of our adventures with aircraft all around the world. 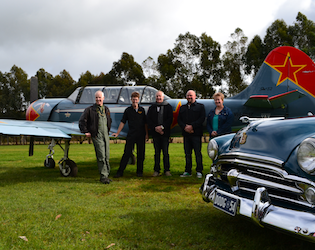 If you`re looking for a special Saturday or Sunday drive, be sure to visit Yangoora Estate on Croft Road, Lenswood, to experience their amazing hospitality, wine tasting, wood fired pizza`s and our True Aviators exhibition. 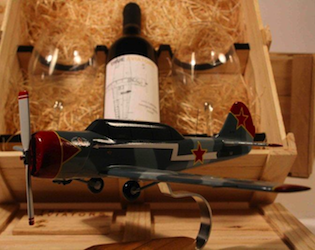 In addition you`ll find on display a simple range of our high class merchandise designed to showcase our unique aviation themed wine gift sets, created with exquisite Yangoora Estate products. 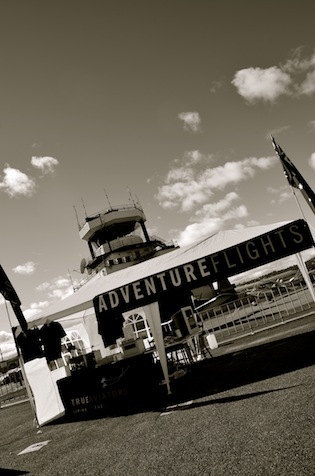 But don't wonder too long..... you only have until the end of May to discover another gem in the Adelaide Hills, with a rare and spectacular high class aviation theme. True Aviators Live Radio Interview with PLANE CRAZY DOWN UNDER!! 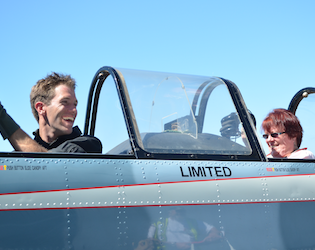 http://www.planecrazydownunder.com/2012/04/26/pcdu-episode-86-one-fine-day-at-parafield/ - This episode relates to the Parafield Airshow in general and you can hear Adam speak about True Aviators at the 22:59 mark. Enjoy!! 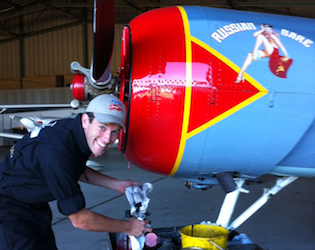 Russian Bare at Langhorne Creek for Anzac Day Flights!! Adam, Jana and the Russian Bare will be joining SA Skydiving at the Langhorne Creek Dropzone to partake in a joint ANZAC day remembrance. 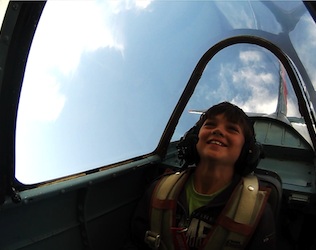 True Aviators will be giving rides in the Yak 52, and SA Skydiving giving Tandam Skydive Parachute Jumps. If you`re keen on aviation, or would just like to come and see something different, feel free to swing by the the drop zone to have lunch at the Dragon Fly Cafe and enjoy the commemorative events. Skeldon Road, Langhorne Creek, South Australia is HQ for the day - you`ll find us at the end of the road on your iPhone, or good old road map!! 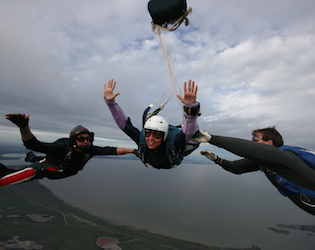 If you have any questions, would like to book for either a Warbird Adventure Flight or Tandem Skydive, or have group bookings for lunch with the Dragon Fly Cafe, please feel free to call us on 0416 460 866. When we are not roaring through the skies in radials, we are helping people jump out of perfectly good aeroplanes down in Langhorne Creek! You've got to come check this out! 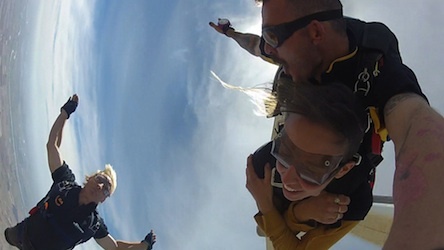 8,000, 10,000 even from 14,000 feet! It's absolutely incredible!! We are there this Friday, Saturday and Sunday. Mild tempretures, gentle breeze, the sound of rumbling radial engines screaming overhead...what more could an aviation enthusiast ask for? Check out a few photos taken on the day to remember all the amazing sights and sounds recorded in your memory. If you weren't there with us, close your eyes and imagine! 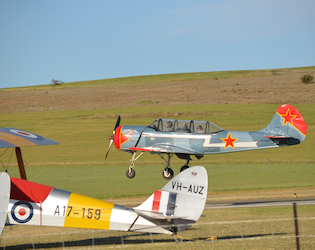 What an amazing opportunity to be so close to these truly remarkable machines...Yak 9, Yak 52, CJ6 Nanchang, Trojan, Harvard, Pitts Super Stinkers, PC9s, Osters, Decathlons, Cessnas, Mustangs and more! There are more links and photos on our Facebook page, feel free to explore more images there!